YANGON — The governing National League for Democracy looks set to win most of the 12 national parliament seats contested in Saturday’s by-elections — Myanmar’s first vote since the 2015 poll when the NLD romped to a historic landslide victory over the army-backed incumbent Union Solidarity and Development Party. Ahead of a full official results announcement for all 19 by-election seats, possibly by late Sunday evening, ethnic parties looked the likely winners in the minority-dominated Rakhine and Shan states, while the now-opposition USDP won a seat in Mon state, an ethnic minority region south of Yangon. But the by-elections were notable for their stark contrast to the long queues of voters and near-euphoria of November 2015, in what was the country’s first free and fair national vote in 25 years. 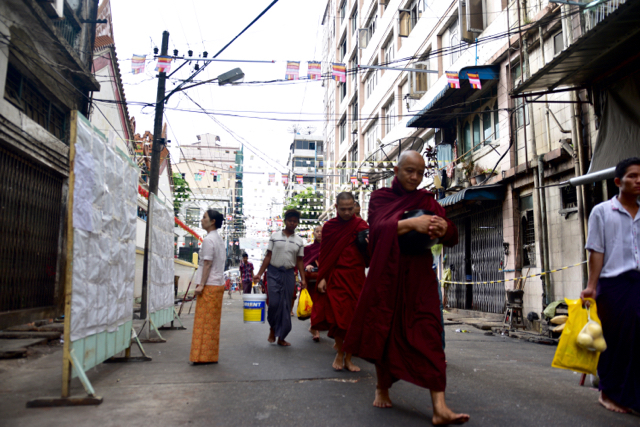 Yesterday’s voting was muted by comparison, particularly around Yangon, the country’s commercial center and largest city. 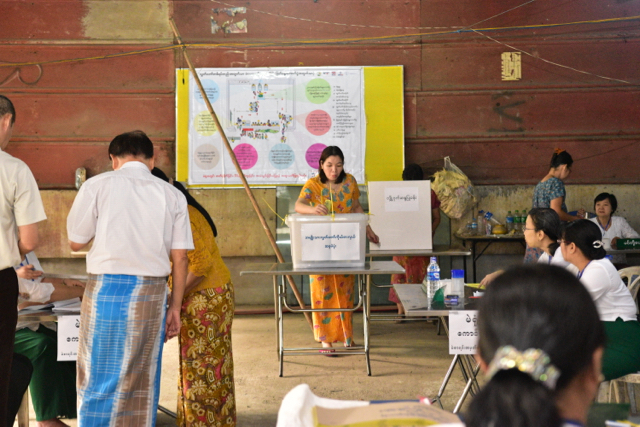 “Only around 10% [have voted] so far,” said one election official, speaking two hours after voting opened at 6am at a polling center in Yangon’s Chinatown, part of the Yangon 6 upper house constituency. 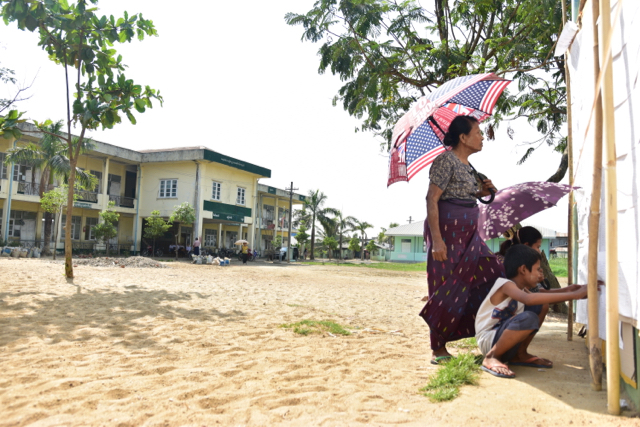 Later in Hlaing Tharyar, the hub for Myanmar’s growing garment manufacturing sector, polling centers remained quiet as the afternoon temperature hit 40 degrees. Officials at two locations said less than 20% of registered voters had cast their ballots two hours before voting closed at 4pm, suggesting that final turnout numbers will be significantly lower than the 69% seen in the 2015 poll. With the NLD firmly in control of parliament and with just 19 seats up for grabs – three out of 168 elected seats in Myanmar’s upper house of parliament; nine seats out of 330 in the lower house, and seven seats in two of the country’s 14 state and region assemblies — the low stakes appear to have diminished the public’s interest in the vote. 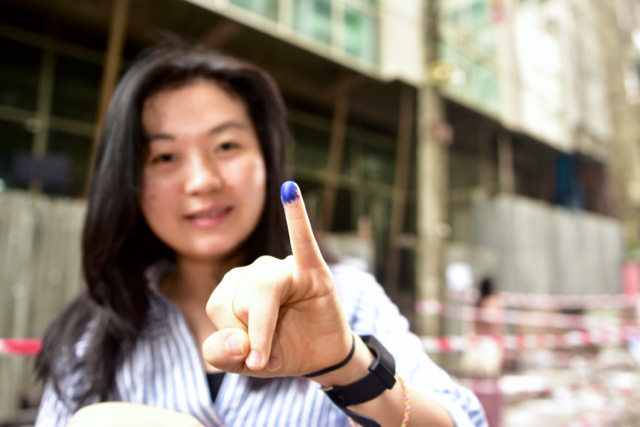 More than 34 million people were eligible to vote country-wide in 2015, but this time only around 2.1 million people were eligible to vote in the scattered by-elections for seats mainly vacated after lawmakers elected in 2015 subsequently took ministerial posts. Other contests were to replace a deceased lawmaker and to allow voting in constituencies in Myanmar’s restive east, where elections were postponed in 2015 due to clashes between the military and ethnic armed groups. 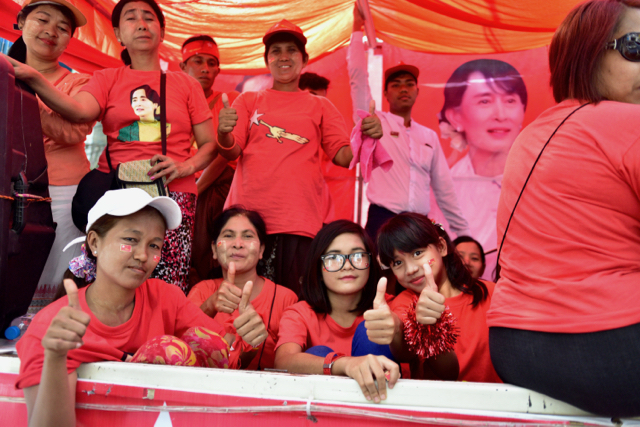 The by-elections came almost a year to the day after the NLD took office in Myanmar, a historic turnaround for the party’s iconic leader Aung San Suu Kyi, who spent a decade and a half under house arrest under the military junta that ruled Myanmar until early 2011. But Aung San Suu Kyi conceded that the pace of change has been slow. Her first year in office was blighted by a slowing economy and reduced foreign investment, as well as slow progress in building on a limited ceasefire signed by the previous government with eight of the country’s roughly 20 armed insurgent groups. Internationally, she has been heavily criticized over accusations of crimes against humanity leveled against Myanmar soldiers operating close to the border with Bangladesh, an area populated mostly by Muslim Rohingya, a minority numbering around 1 million people who are denied citizenship. But it appears that Myanmar’s voters are prepared to give “Mother Suu”, as she is affectionately known by much of the public, more leeway to get to grips with the country’s limited infrastructure, poor educational standards and lack of manufacturing industry — legacies of five decades of military rule. “I vote for NLD, they are the ones who can make change in this country,” said Min Lwin, a 66 year old retired sailor now living in Hlaing Tharyar, who responded in a manner suggesting the question was faintly ridiculous. By Saturday evening, Phyo Min Thein, a rising star in the NLD and the chief minister of Yangon Region, took to a balcony at the party headquarters in Yangon to claim victory in all five of the city’s by-election seats. The seat of Kawhmu, an hour outside Yangon, was vacated by Aung San Suu Kyi when she formed a government a year ago and took up the role of state counsellor, a custom-made position enabling the NLD leader bypass constitutional restrictions barring her from the country’s presidency. The first batch of official results announced by the election commission on Sunday morning showed the NLD retaining Kawhmu. But there was disappointment elsewhere for the NLD, with the USDP taking a seat won in 2015 by the NLD in Chaungzon in Mon State, where the government had angered locals by proposing naming a bridge after General Aung San, Myanmar’s independence hero and Aung San Suu Kyi’s father, rather than an ethnic Mon. In Ann Township in Rakhine State, Aye Maung, a leading ethnic Rakhine politician who has long railed against the central government and, notoriously, against any granting of citizenship rights to Rohingya living in his home region, looked set to take the seat. 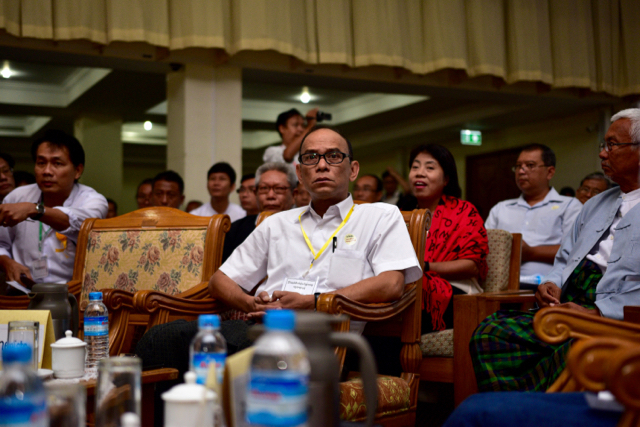 And in the days before the April 1 vote, a hint of a possible future challenge to the NLD came when members of the “88 Generation” of former political prisoners — student protestors who fronted the 1988 mass demonstrations against the army’s grip on power in Myanmar — met in Yangon to discuss forming a political party to contest future elections. “We want to continue the democratization of Myanmar,” said Mya Aye, who is likely to be a leading figure in any 88 Generation party.